For over ten years, the Internet has influenced all the areas of human activity, and the music industry is no exception. There've been tremendous changes in sales of physical vs digital music, so it seems like a rare phenomenon when somebody buys a CD or a vinyl record. Rather than going to a local record store, wouldn't it be easier to go open iTunes and buy an album with just a few clicks? On the other hand, there are free music services like SoundCloud and Youtube which provide access to millions of songs free of charge. However, the sound quality of those tracks leaves much to be desired. These two opposites are two extreme, and the happy medium in this situation is music streaming that for a comparatively small price offers only songs but podcasts, radio and video content, as well. The bosses in this area are now Apple Music, Spotify, and Google Play Music. However, music streaming is a shaky market so there's usually stiff competition since young services are constantly encroaching the market and therefore can quickly surpass the majors. Today, we are taking a look at Deezer vs VOX Music Player comparison. The latter is a bit more niche product, but it can quickly become a leader. Anyway, they both have pros and cons, so let's start. Deezer is currently available in 182 countries. It sounds big, but among those 'unavailable' countries there's China and India whose population comprises a half of the world population. Deezer has more than 40 million songs, the same as Spotify and Apple Music. Still a huge collection, though. With the Premium+ (paid) subscription, Deezer is available on Windows, Mac, iOS, Android, Windows Mobile, smart TV and a web app. For those who subscribe to the Premium+ service ($9.99/mo), the bit rate is that of CD-quality 1,411kbps at 16/44.1 kHz. This is not true Hi-Res, though. Read on why Spotify is not quality you want, even Spotify Hi-Res. Deezer offers a radio-like service called Flow which plays random music based on your favorites, similar to Spotify's Daily Mixes. Elite is the highest and priciest subscription tier that Deezer offers. However, it's only available on Sonos systems in the USA. It's sometimes challenging to find the music you are looking for. The search can be a miss quite often. Moreover, the top tracks section for artists is usually a somewhat poor selection of tracks, nowhere near what anyone would call "top tracks." Lots of songs aren't played until final chords, and many others are very low-quality records, showing audio distortions. This is frustrating, indeed. 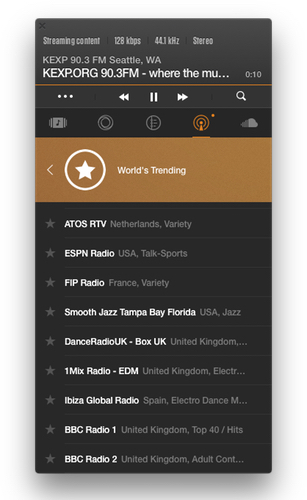 One of premium VOX features is VOX Cloud storage – an unlimited music cloud. It means you can upload as many tracks as you wish. The more, the better. Think about the quality. Deezer streams at 128-320 kbps and 1,411 kbps for an extra charge. VOX has no restrictions on audio formats. It's the best way to listen to Hi-Res music because you can upload FLAC, ALAC, WAV, AIFF, PCM, etc. with no sound compression or format conversion (Deezer allows you to upload only MP3, M4A or DZR). How it works with VOX Cloud Storage: You upload FLAC 4096 kbps/96kHZ – you listen to it. You download VOX Music Player, subscribe to VOX Premium and then upload your entire music collection into VOX Cloud Storage. 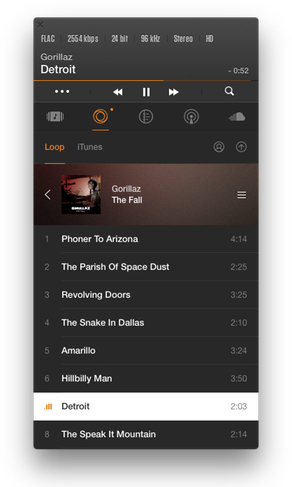 Having done so, you can enjoy all your Hi-Res music, anytime, anywhere. If you're not good at creating playlists, you can sign up to your SoundCloud account to combine both music sources in VOX. This is an essential feature since Hi-Res audio has ultimately become a favorite in the industry of music. More and more we care about the quality and no the quantity, and it's beautiful. With VOX, you can have all your music collection and not question yourself if there will be enough space. I have an enormous Hi-Res collection and whenever I want to find new music I go to the SoundCloud tab. More on that below. The complete list is too long to outline here, but among the famous ones, there are FLAC, ALAC, WAV, AIFF, APE, DSD, PCM, AAC, OGG, MP3, M4A, etc. I honestly doubt that you can find a format not supported by VOX. Hail to the quality. A truly remarkable feature. Once you upload something to VOX Cloud Storage, it's automatically available for listening on all devices connected to your VOX account. That's one of few possible ways to listen to Hi-Res audio files on iPhone. Your iPhone will never sound that well with any streaming service. A vital feature. Why? Because no matter how huge your music library is, you always want some new songs and artists. 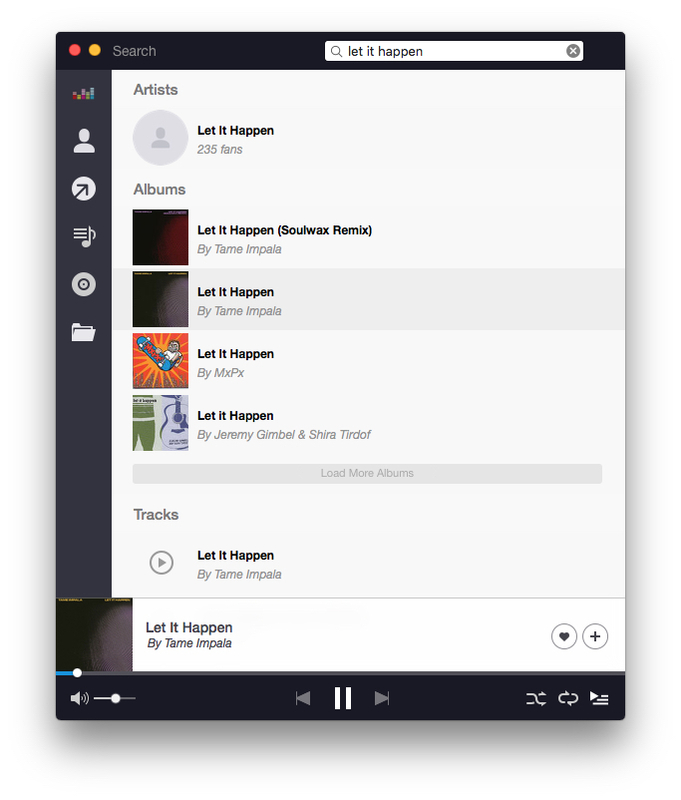 To satisfy this need, VOX Music Player integration with some streaming services so in VOX you can get access to SoundCloud and Spotify's libraries. You can add any song from these services to your playlists to create exclusive playlists. Sign in to Last.fm to keep your listening stats up-to-date. VOX works with the Internet data (3G, 4G, LTE) or Wi-Fi. When you don't have either connection, you can download songs or albums to listen to them offline. The sound quality remains the same, but keep in mind that Hi-Res files take up lots of iPhone storage. VOX online radio unlocks when you buy a Premium subscription. Unlike Deezer's, VOX Radio is actually a radio. It includes 30,000 radio station from all over the world, both local one and hip ones. Unlike Deezer, VOX is available no matter where you are. It's a great solution, especially if you like to travel or live in India or China. Both features improve the sound when using headphones. The Equalizer includes over 20 presets for various genres, and BS2B technology makes the headphones sound as if you were listening to the music in a studio. If you're still thinking whether to start using VOX Music player or not, think no more. Try using the free tier and see for yourself. It has some limitations regarding features. I must say that it takes some time to find and upload files to VOX CLoud Storage, but even if you have a 1 TB collection, you can upload everything within a few hours. I uploaded 5 GB of Hi-Res music in 7 mins. You can check 10﻿ Best Sources to Download Lossless Music. I prefer VOX Music Player myself. 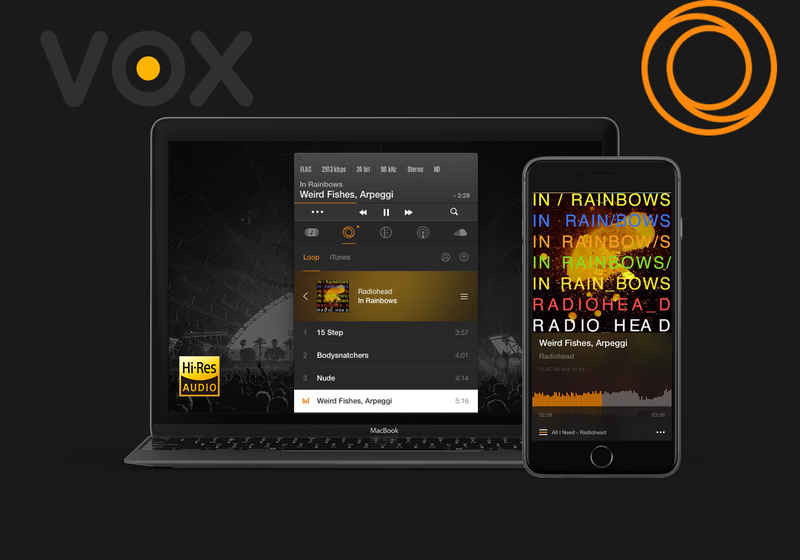 The main reason is that I value the quality of the sound, and now that I've uploaded 100 Hi-Res albums and connected to my SoundCloud account to discover new music, VOX seems to be a perfect music app for high-quality playback coupled with huge SoundCloud collection.